How to bring “lean impact” and lean startup methodologies into nonprofits and advocacy campaigns - and create a Lean NGO. It has been just three years since Eric Ries published The Lean Startup, and the book has become the standard playbook for entrepreneurs in Silicon Valley and around the world. The principles of the Lean Startup methodology, as you probably know, include building a testable prototype or pilot (a minimum viable product or “MVP”) as early as possible in the development of a company (or program or campaign) and focusing at first on learning and iteration rather than profit. Cause-focused organizations, from for-profit social enterprises to charities, have been using some of The Lean Startup’s tricks (like pilot programs) for decades. But there’s opportunity for world-changing organizations to learn — and do — more by following this method. A group recently came together at a convening of the Web of Change community to discuss some of the key hurdles faced by cause-focused organizations trying to “go lean” and to brainstorm ideas for how to address these apparent roadblocks. Here are the three biggest hurdles we’ve experienced in our organizations and with clients, and our recommendations on how to get past these blockers. This is the most common concern we hear about implementing lean startup principles. If you face this one, we have good news for you: long-term strategic planning and iterative product development cycles aren’t mutually exclusive. In fact, there’s been some backlash against companies using Lean Startup to hide the lack of long-term vision. Organizations must still have a long-term vision (and a story to go with it) of how they’ll achieve big goals and have an impact in the world. 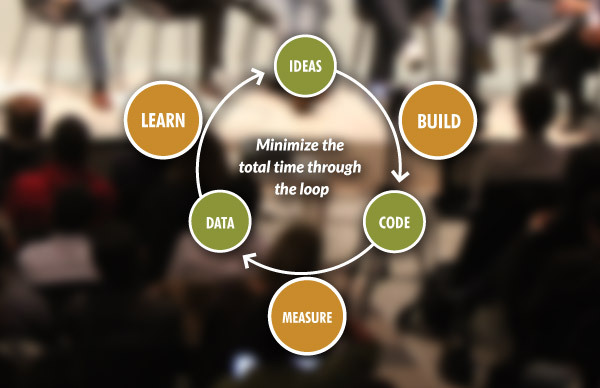 The lean startup methodology actually goes hand-in-hand with this vision because it creates opportunities for measurement and improvement along the path to that big impact. (Of course, with constant iteration and learning along the way, it might become clear that the big strategy and goals need to change, but you can keep this possibility quiet when pitching your first MVP. We won’t tell the board if you don’t). Small bets lay the groundwork for big wins. Upwell, an organization focused on saving the world’s oceans by understanding and influencing online conversations, lives the lean startup methodology every day in its work. The organization runs “minimum viable campaigns” in order to learn whether an issue, message, or action resonates with the audience before investing any more time or more. In 2012, after Hurricane Sandy, Upwell created and tested the I Oyster NY campaign to bring attention to the idea of restoring the city’s oyster beds to create a natural buffer against storm surges. Oyster bed restoration wasn’t Upwell’s idea but they were well-positioned to test ways of getting a conversation going in the media. 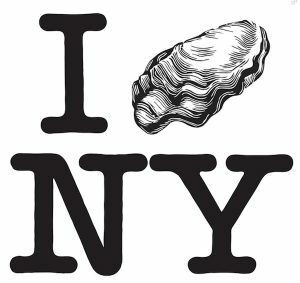 In 2012, Upwell tested a “I Oyster New York” campaign to float the idea of oyster bed restoration after Hurricane Sandy. “We focus on the quickest, dirtiest thing we can get out the door that we think will have a measurable effect on a conversation,” Upwell Campaign Lab Director Rachel Dearborn wrote on the Lean Impact blog last year. 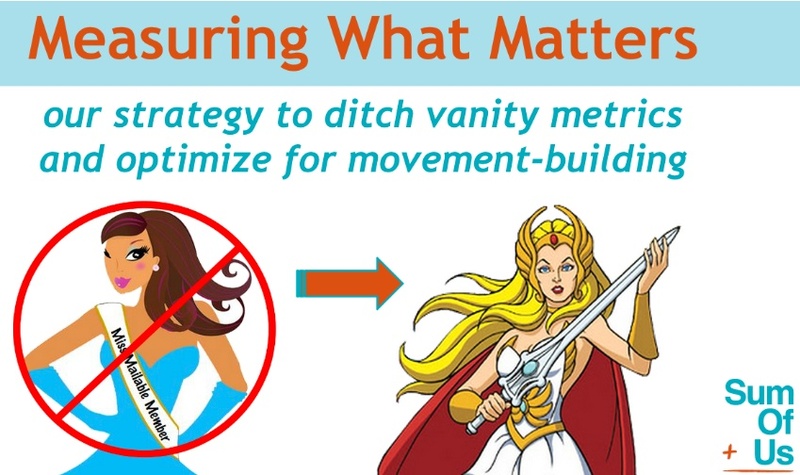 If you’re already aware that your organization is too focused on vanity metrics, you’re a long way towards grasping the Lean Startup methodology. Lean urges practitioners to focus on finding data that helps make decisions and set aside numbers that make us feel good. Many of our peers know that tracking page views and dollars isn’t giving their organization true insight into the needs and habits of their donors and site visitors. Despite this, they haven’t been able to move on from vanity metrics. So how do you do that? Keep asking what each metric tells you about whether a program or product is working. The advocacy group SumofUs wanted to push past vanity metrics (in their case, total audience size). They developed a new metric called Members Returning for Action (MeRA)which tells them whether people are deepening their relationship with them. Kaytee Riek, the group’s Campaign and Training Director (and a fellow Web of Change community member), told us that the entire SumofUs team has read Lean Startup and that the book’s ideas have had a big impact on their work. SumOfUs developed a “Members Returning for Action” metric to tell them whether people are deepening their relationship with the group. Creating a culture that learns from and celebrates failure is an admirable goal, but it’s a big shift. The nature of Lean Startup suggests that you start small. When you’re ready to step up your experimentation, it may be time to launch a lab. This is a fancy name for a working group that runs experiments and shares learning. It’s a great way to manage risk and build a culture of learning. 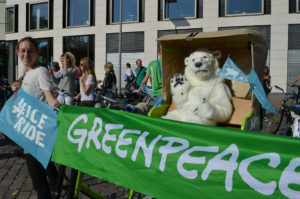 The Mobilisation Lab at Greenpeace, where you may be reading this post, is a great example of this, but your lab doesn’t need a website and a full-time staff to start. It can be a few staff members passionate about these ideas, who meet once a week to plan and design the next experiment, or review results from the last one. Engage with the Lean Impact community — which explores these exact issues. Join the Lean Thinking for NGOs group on LinkedIn. This post is an MVP, and we’re eager to discuss these ideas. Comment below or find us on Twitter to keep the conversation going (Matt is @mattjkelley and Rachel is @Rachel_shares). 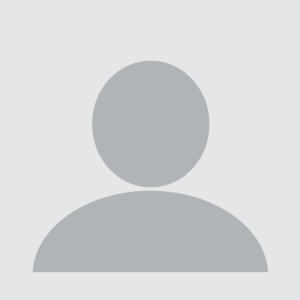 — Rachel is a freelance digital fundraising and campaigning consultant based in London. Matt is the Director of User Experience at Blue State Digital in NYC. Collaborators on this post included Web of Change community members Chad Jones, Ajay Puri, Adlai Amor, Harold Moore, and Maxwell Love.